Hello to you out there, fellow book club aficionados! 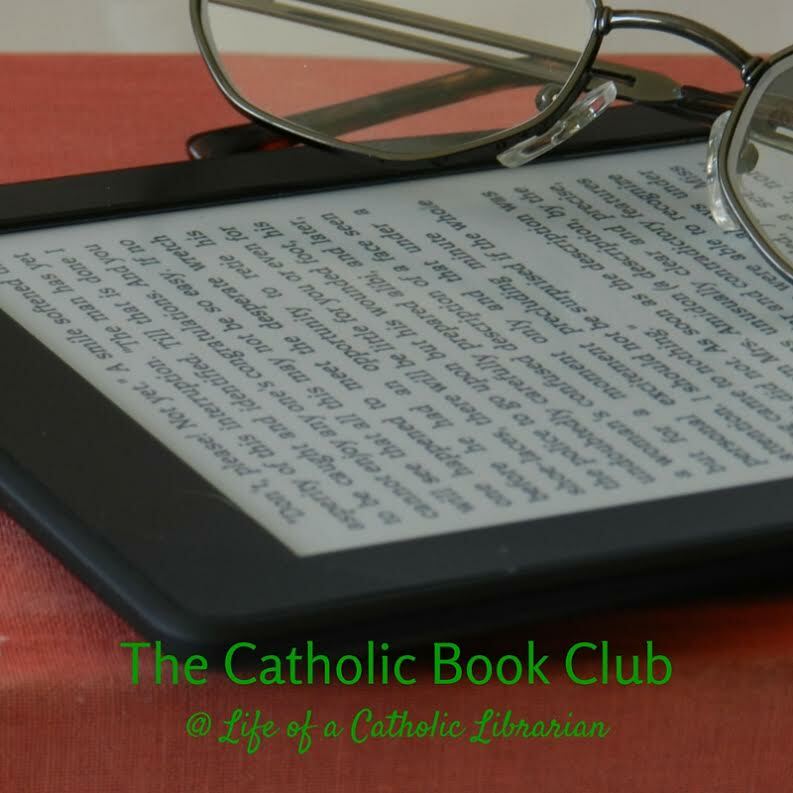 I'm super excited to finally be in the first book club post of our new format. I know that number of you have been reading along with me, which is SO INCREDIBLY EXCITING! Intriguing premise, to be sure. I haven't read this sort of historical non-fiction in quite some time, so I was glad to have something different from my norm to read. Let's get into the nitty gritty! The Prologue grabbed my attention from the outset. I'm always taken with books that start out with a tantalizing glimpse into something very dramatic, and we're not quite sure at that time how that scene fits into the larger story. Loved. Chapter 1 felt like it took me quite some time to get through, though all of the background information on Pius XII, and the state of the world at the beginning of his papacy, was quite interesting. After chapter 1, it felt like the narrative moved more quickly. Just as quickly, I got mired in names. ;-) I have a difficult time keeping track of what name belongs to what character in any book or film that I am consuming. I am easily confused, I suppose. I had to keep flipping back in my Kindle to earlier chapters to see if my hunches about who was who were correct so that I could keep tabs on everyone. My initial impression is that it is hard to believe that this is non-fiction! Some of the events are quite unbelievable. I keep thinking to myself: "Really? This really happened?" It's all very dark and dramatic! The book is quite well footnoted, so I have no doubt as to its veracity. But the tone that the author creates does read in a way that is more common in fiction. To me, this is a very good quality for a substantive work on non-fiction! It certainly makes it more attention-grabbing for the reader. I'm really enjoying feeling like a fly on the wall in the Vatican for this specific period of time. A difficult period of history, to be sure, but obviously very moving. I also have a papacy fascination. 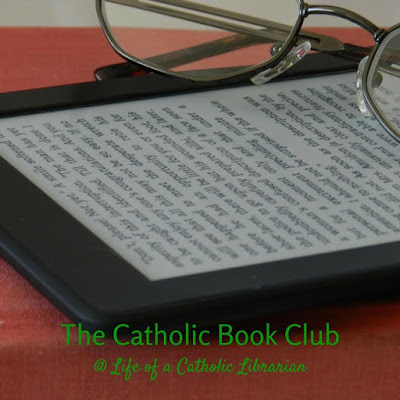 I love reading about daily goings-on in the lives of the pope and others in Vatican City. It makes me feel more a part of my very global faith. Now I am ready for your thoughts. What did YOU think of chapters 1-5 dear reader?! I was not sure how much I was going to like this book at the beginning. Chapter 1 took me a long time to get through. It was interesting, but not necessarily what I wanted to be reading the first week after exams. ;) I probably would have put it down and forgotten about it if you hadn't kept checking my progress and told me that it got better. I am glad I kept going, though, because I really started enjoying it after I got through that first chapter! I also have issues with names. I flipped back and forth many times to make sure I was thinking of the correct character. I knew absolutely nothing about Pius XII before embarking on this book, so I am finding it very informative. 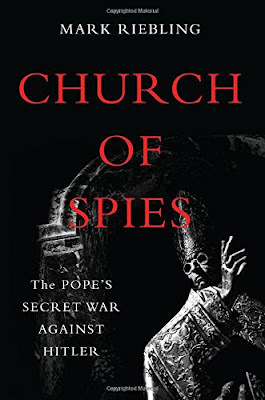 I am enjoying reading about the different things going on in the Vatican at this time, and also the ways Pius was getting his information, all the secrecy and stealthiness. I think it's written very well, and is now keeping my attention! Sam, thanks so much for your feedback! Yes, I started out thinking that it was going to be an interesting, but heavy read. After chapter 1, that changed for me. OK, your vote is logged for finishing in June! All I knew about Pius XII before reading this book was that he was the pope during WWII. I'm enjoying learning about his pontificate from this book. That said I've been reading this with a feeling in the pit of my stomach. The prologue was hard to read and knowing what is coming for one of the main characters has me reading with some trepidation. I'm also having some trouble keeping the names straight but I wonder if I'd have more luck if I read it faster. Now that we are five chapters in the pace has picked up and lends itself to faster reading. I can see benefits finishing it in June or July and I'm not sure what I'm in favor of. I'll try and keep up with whatever plan is chosen. Hi Melanie, thanks so much for reading along! Indeed, I am concerned about the ending, I think that we may be in for some tears. :-\ But it's certainly compelling. Happy to find this site on Facebook. How do I join with you? I just finished reading this book, and learned so much that I didn't know. I also had a hard time with all the names, I started looking them up. Seeing their pictures and reading about them helped me keep them straight. It also made it harder to read since now I had a face to go with each one. Hi Karen, thanks for joining us! What a great idea about googling the names in the book! That would make it more personal, and thus easier to follow along. Great suggestion!